Walking along the Sienne River. Paris May 2004. Walking past the houseboats along the Sienne River. 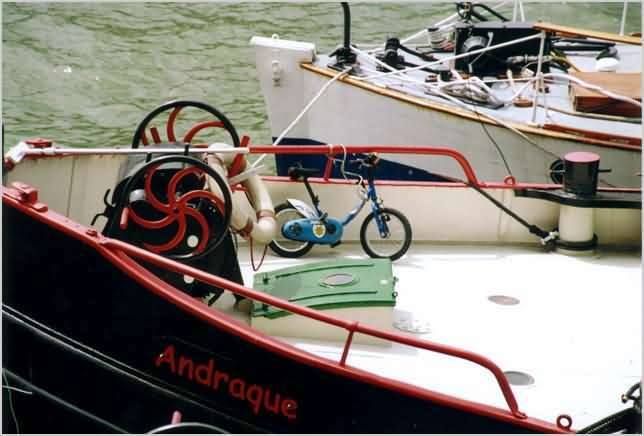 This small scruffy dog barking at passers-by and a neat-looking childrens bike are some of the things I spotted as I walked up towards the Il' de Cite.